We’re looking for 30 digital startups eager to scale their innovation and boost their growth! Our free 9-month acceleration programme supports you to achieve B2B cooperation- and investment-readiness. 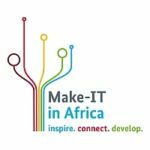 Based in Nairobi, Kenya or Lagos, Nigeria, the Make-IT Accelerator is designed and implemented in collaboration with highly renowned local hubs, corporate partners and investment experts. Throughout the 9-month programme, we will provide access to the right knowledge, mentors, business and financing partners and opportunities for successful business growth. 1. Inspire – Achieve the Capacity for Growth (Jan – Mar 2018): cohort-based training and capacity development for growth, including individualised needs assessments and scaling plans and regular meetings with experienced acceleration managers to help you develop and grow your business. 2. Connect – From Cooperation Readiness to Cooperation (Apr – Jun 2018): B2B cooperation readiness training, individual support, preferred access to B2B matchmaking events with major international corporates and access to the Make-IT mentor pool as needed. 3. Develop – From Investment Readiness to Investment (Jun – Aug 2018): support from finance and investment experts, who will help you achieve investment readiness, prepare you with the skills to negotiate investment deals and provide pitch training for a final Demo Day in Lagos or Nairobi. ● Local and international exposure. Be featured as a high-potential startup on the Make-IT website and present your business at various local and international events, e.g. Sankalp, CeBIT etc. ● Corporate partnership and investment opportunities. Improve your skills and capacity to negotiate partnerships and investment deals and participate in structured matchmaking opportunities with our network of prominent investors and corporate partners. ● Mentorship. Connect with our pool of highly qualified local and international mentors and experts. ● Supplemental education. Increase your knowledge with access to our curated capacity-building content and workshops and a community of peers, experts, corporates and investors to support continued education and development of startups throughout their 9-month journey. ● Co-working membership. Receive office space for your team with a free 9-month co-working membership. Running a business is a 24/7h job. We are aware of this. Therefore, we do not expect you to be present at the whole time, but full commitment to the 9 months programme. We do not require exclusivity and can run in tandem with other initiatives or programmes in which you may be enrolled. ● A business model with a social Impact. That means that it presents a solution to a social problem, and has positive impact on society (locally and/or globally). We define ‘social’ as the basics of life (especially in terms of health, environment, food, agriculture). You have a solid understanding of your target market and your business addresses a real gap or challenge in the market. You demonstrate clear potential to scale your business nationally and internationally and to create new employment opportunities. You have solid team dynamics with the right qualifications to succeed. You have a coherent business model with clear revenue streams and potential to attract additional finance. Evidence of previous external funding will be looked upon favourably. ● contribute to the Sustainable Development Goals and have a social impact. Taimba - A B2B online platform connecting farmers to retailers. We are looking for a mentor to help us on matters strategy, operations and on sales and marketing. We will highly value the mentors input as we better our services. We need a mentor who will help us build new business relationships and partnerships for our product. Additionally, one who will help open our mindsets for a better approach. We look forward to new networks in the health space as well as the latest opportunities that our model can tap into, so we can finally integrate our system. We need a mentor who has expertise in launching new electronic products in Nigeria - and who can help us with distribution challenges we face. We are seeking a mentor with experience in this space to help us troubleshoot our plans before going live and while live. We are looking for mentors that will guide us in establishing the right partnerships that will help us scale and help in raising funds.